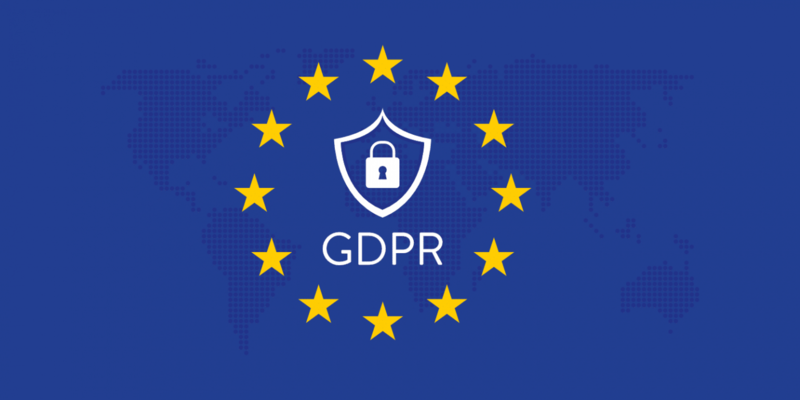 Label Engine is committed to ensuring it is GDPR compliant and to providing tools to its users to ensure they are compliant as well. First, we would like to assure you that Label Engine does not use any of your client’s or recipient’s data; and does not share that data with any third parties. Within the terms set out within the GDRP, businesses are allowed to maintain personal information for clients in order to fulfill contractual obligations – that aspect has not changed. The GDRP basically updates the law so that the Data Subject has even greater rights than before, with direct control over the usage, retention and movement of their personal data. The key facets of GDRP include: the right to erasure, also known as the right to be forgotten; requirements regarding consent of the subject to hold data; and a requirement that opting out and removing consent should be made very simple. Of course, GDPR also increases the penalties for violations. The new administrative fines start at the GREATER of €10 million or 2% of previous year’s revenue of the violator. For users of our promotion system, we will be implementing an invite system on a per-label basis. The goal of this system is to comply with the “consent” aspects of the GDPR. Recipients must accept the invitation in order to start or continue receiving email notifications when you send them promos. This must be done from each label you manage. These invites are sent automatically when you send a promo to a recipient, provided they have a valid email address. Additionally, you can send invites to recipients individually from the recipients page or when editing a recipient. The current recipient invite status will be displayed when editing recipients, sending promos, or viewing the status of campaigns. Invite emails are styled according to your label color scheme and consist of your label logo plus text that can be entered by the label. We recommend you use this text to inform recipients about the type of music you release and why it would benefit them to accept email notifications. All these options can be edited from the label display options page and should be reviewed before sending out promos. If a recipient accepts the invite, they will be sent any email notifications for active campaigns from the past three months that they were not sent during the period before they accepted the invite. Note that recipients will still have the option to remove consent or to update their email delivery preferences to stop email notifications. If a recipient does not accept the invite, it will not be possible to send them direct email notifications. Note that not providing consent does not mean the recipient has unsubscribed – you can still send them promos that will be available to them through the website; which can be accessed from other promo emails sent to them by other labels, or from the Promo Access page on Label Engine. If a recipient that has not provided consent goes to their Subscriptions page and updates their delivery preferences to accept emails, it will be assumed that this is a confirmation of their consent and it will be possible to send them email notifications. If a recipient does not respond to the invite for a period of one month, a second and final invite can be sent, either automatically when sending them a promo or via the recipients pages. If this second invite is not responded to for a period of 30 days, Label Engine will assume they declined the invite. A recipient can have a maximum of 3 outstanding invites – if the recipient has been sent and has not accepted invitations to 3 of your labels they will not be sent any further invites. Invite status is copied over when merging labels i.e. if a recipient declines an invite to a label and you then merge that label into a new label, they will be assumed to have declined the invite to the new label. Additionally, Label Engine will be sending an email to all active recipients to inform them of the labels that have previously sent them email notifications within the last 12 months. Recipients will be given the opportunity to visit their Subscriptions page to review their delivery options for each label and provide their consent for receiving further email notifications. It is your responsibility to remove all recipient information should they request it. Deleting a recipient will immediately remove all information related to the recipient except for their invite and unsubscribe history, which will be used if you add the recipient again using the same email address. At Label Engine we have always firmly believed that the promotion system should be used only for sending releases to recipients with whom you have had prior contact and who want to hear your music. With this in mind, we will not be allowing any labels to bypass the invite system in order to send out email notifications. If we see any attempt to circumvent this system, we may choose to cancel subscriptions for offending users. As a reminder, this system has been developed to comply with GDPR and any attempt to circumvent it, by any user, may be a violation of that law and subject the label user (not Label Engine) to administrative fines that start at the GREATER of €10 million or 2% of previous year’s revenue of the violator. We would like to thank all labels in advance for their understanding in dealing with these changes, and hope that they do not cause too much inconvenience. Please reach out to us at support@label-engine.com if you have any questions regarding GDPR or the updates to our system.